Brickworks is about building community in the Rufford and Stambermill area. At its heart is a fledgling church, a group of people who love God, love each other and love the Rufford area. Since September 2014 we’ve been meeting every Sunday for worship – a new sort of church right here in the middle of our community. But it’s more than a church. 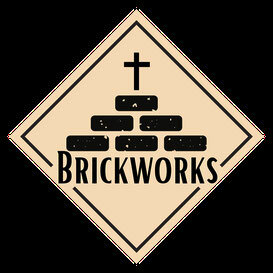 Brickworks isn’t here just for the people who come to Sunday services. It’s for the whole community. That’s why we run community events – like the pancake party, the Easter Egg hunt and Summer Event. And that’s also the reason for the regular community activities – the Community Cafe the youth football. It's why some of us were part of starting Friends of Rufford Field, and it’s why we do all we can to support our local school. In some ways you could say it’s less than a church as well. We don’t have a church building – so there are no bells, no churchyard, no pews, no stained glass windows. Nor do we have long-established traditions. No-one can say, "We’ve always done it this way!” – because it’s new to all of us.